Throughout history, the human feeling of fear has been perceived in the Western cultural imagination as negative and shameful, typical of a fragile and low human being. Fear has opposed courage, a winning model that is desirable on many levels and centered on consensus, trust, and a sense of belonging. However, fear is not a feeling that belongs only to the troubled past or to milder, less warlike peoples. In our historical moment, the most advanced modern societies experience fear with lucidity and awareness of the risks and dangers which they are exposed to. There is a widespread and worrying perception of insecurity. Jean Delumeau wrote that “in the history of communities, fears change, but fear remains”. The phenomenon is difficult to analyze, because it manifests itself in a collective sense, undermining social relationships, peaceful coexistence, and trust between peoples, which should be reciprocal. The events that marked the beginning of the 2000s determined the loss of international certainties. They have increased fear, restlessness, and insecurity within the social body, especially in Western countries, though even other areas of the globe are not immune to this trend. Currently, to the many fears that besiege our time – environmental degradation, genetic manipulations, depletion of resources, crime – we add the generator of fear of fear, terrorism. After September 11th, the perception of the danger represented by Islamic fundamentalist terrorism has grown in a mirror image of the need for security. The massive presence in the West of Muslim men and women has led to ethnic divisions and separatist claims about “our” culture and “theirs”. Even if no culture presents a uniform fabric, and all have, as François Jullien observes, “mottling” more or less engraved. In the meantime, terrorism has changed. It has become multifaceted and liquid. It has generally freed itself from hierarchies and is based instead on scattered cells, groups, and individuals. These people are properly indoctrinated and persuaded of the fundamental importance of their action in the fight against the West. Even if the genetic mutation of Islamic terrorism has not surprised observers and analysts, it is evident that it becomes increasingly difficult to stem its spread and penetration. Islamization and radicalization, through the internet or traditional channels, is now a phenomenon of worrying “normality”. At the same time, real world opportunities for contacts between cells and individuals have multiplied. Virtual Telegram channels or other social networks may be the online meeting place, but they can lead to direct contact, face to face. This can be favored by the various and uncontrollable ways in which it is easy to camouflage oneself among immigrant communities, finding support from family groups and fellow countrymen. There is of course no direct relationship between migrants and criminality, or between migrants and radical extremism. Yet it is also true that the loss felt in the impact with a different social, religious and cultural reality is certainly not easy for anyone. Often enough, the new home countries are demonized in the countries of origin, because they are considered too secular. his strengthens the sense of identity and prepares the ground for radicalization to take root. Among those who come from the countries of Muslim tradition to the West, therefore, even in Italy many face emotional and social fragility. They can be easy prey for local delinquency and radical proselytism. The latter exploits the mix of confused feelings – anger, resentment, disorientation, and immaturity, all stirred up by using weaknesses and emotions. According to a recent report by the Ministry of Justice, prisoners in Italy numbered 54,731. Around one third of them were foreigners and in this group 11,029 come from Muslim-majority countries. By themselves, the numbers do not imply an immediate link between Muslim faith and religious extremism. But they do introduce significant questions about the prevention of radicalization, which can be facilitated by the conditions of the prison regime itself. The problem of prison overcrowding proves to be serious in this context of the dangers of radicalization in prison. In 2013, the European Court of Human Rights condemned Italy because overcrowding had reached unacceptable levels in prisons, which did not guarantee the basic rights of prisoners awaiting trial or serving their sentences. In September 2016, the Council of Europe’s European Committee on Crime Problems (CDPC) published a white paper on prison overcrowding. Starting from Recommendation (99) 22, the criteria for reducing the phenomenon are delineated. The deprivation of liberty should be considered the last option. The automatic imprisonment (both in the preventive phase and because of a conviction that implies a mandatory prison sentence) should be avoided. More generally, in addition to a periodic evaluation of the criminal justice system, the document suggests the decriminalization of certain crimes, the reduction in the duration of certain sanctions, and the replacement of some custodial measures with pecuniary sanctions. The report also suggests the development of prevention programs to hinder crime and recidivism and to offer psychological support to manage aggression and to improve educational and occupational skills. Some European states have already adopted specific provisions to prevent overcrowding. For example, ruling that convicted persons cannot be admitted to prison unless there is adequate room for them. This has led, in the past, to the practice of “waiting lists” for prisoners in the Netherlands and Norway. Alternatively, custodial sentences are replaced with alternative measures. The use of non-custodial measures as an alternative to detention is relevant both as a means to reduce prison overcrowding and as a tool to facilitate social reintegration and thus reduce the chances of recidivism. It is believed that alternative measures, which involve cost reduction and have a specific rehabilitation effect, are particularly appropriate for some groups of prisoners, for whom detention is considered particularly harmful. The generally applicable measures include restrictions on movement and communication, community living or surveillance via mobile phones. With Directive (EU) 2017/541 of 15 March 2017 on the fight against terrorism, the issue is addressed with a view to complementing criminal measures with policies and good practices based on education, social inclusion and integration programs in connected plans aimed at deradicalization and rehabilitation, even during the detention and probation period. The exponential growth of the terrorist threat and the presence on European territory of subjects “inspired or educated by terrorist groups abroad” requires a long-term approach and an intense and coordinated response, based on cooperation, also with third countries, on the exchange of information, the sharing of prevention experiences, and training measures taken at the European level. The integrated approach therefore seems to be the most balanced and incisive response to a threat that must be prevented, eliminating those factors that favor its realization, avoiding emergency solutions and adopting responses and interventions that can be adapted to different situations. That said, the provisions of Directive (EU) 2017/541 also strengthen and broaden the scope of existing legislation by considering certain activities crimes. The Directive covers trips inside, outside or towards the EU for terrorist purposes, the organization and facilitation of such trips, including through logistical and material support such as ticket purchase and route planning, and participation in and implementation of training activities for terrorist purposes, such as the manufacture or use of explosives, firearms or harmful substances. In line with the European strategy, Italian legislation is moving ahead, in support of other measures to prevent and combat terrorism. The urgent need for concrete and unstoppable answers has led the Italian legislator to proceed with the identification of four new acts considered crimes. Two related to recruitment and training were introduced in 2005 and reformed in 2015. Two more introduced in 2015 targeted the crime of organizing transfers abroad for terrorist purposes and terrorist financing. The level of detail of the new crimes, the circumstances that aggravate the crime, greater punishments, the reinforcement of preventive security measures, and the strengthening of police and prison tools constitute the equipment of Italian criminal law in the face of the terrorist threat. Together with criminal measures, the main front against terrorism is prevention. A widespread distinction breaks prevention down to three levels. Primary prevention is used to reduce or eliminate the pathological conditions of a criminal already present in the social environment. Secondary prevention includes interventions with those at risk before a crime is committed. Tertiary prevention aims at containing criminal careers and preventing recurrent behavior. The measures envisaged by the European documents recognize the need for prevention and control. They are based on Italy’s direction of travel, but it is clear that, above all, it is necessary to work on the centers of radicalization and indoctrination. In Italy, that means the prisons. In Italy, there are no open areas where Islamic fundamentalist movements appear to be deeply entrenched, as happens in France and Belgium, where mosques and religious schools can be spaces for radicalization. In the prisons, though, prisoners can come into contact with radicalizers who have undeniable charisma. For example, Anis Amri, who carried out the massacre at a Christmas market in Berlin on December 19, 2016, had radicalized progressively during four years of detention in the prison of Catania. He was jailed for common crimes – embezzlement and inflicting injuries – but the Ministry of Justice has reported he became a leader within the prison. Later, he joined a network of radical Islamists in Germany. Currently, the subjects detained in Italy for crimes related to international terrorism number 45. They are restricted in the “High Security 2” sections of prisons in Benevento, Brindisi, Lecce, Nuoro, Sassari, Tolmezzo, Turin, Rome Rebibbia, and Rossano. In addition, according to data on the prison population reported by the Ministry of Justice, there are around 375 prisoners at risk of radicalization and around 170 are subject to specific monitoring and reported to the police authorities. These circumstances lead to specific attention to the placement of “newcomers” within the Italian prison system. The most vulnerable subjects will be more easily exposed to the risk of psychological pressure from possible radicalizers, with whom they can be in direct and daily contact. The risk of proselytism, moreover, does not only concern the “newcomers” of the Islamic religion. It can also involve subjects who are distant in culture and ethnicity from the Islamic world. The incarceration of the new prisoner is followed by a meeting with the service in charge of assessing any physical and psychological fragility of the prisoner. Often such investigations are complicated by a lack of documents, false assertions, and a refusal to declare membership of a religious group. Even if this is not necessarily a symptom of radicalism, it does hinder the prison administration in adopting consequential logistical choices. The question of the allocation of “new arrivals” is aggravated by the dramatic problem of overcrowding of Italian prisons. Between 2015 and 2016, the overcrowding rate rose from 105% to 108.8%. It climbed further to 112.8% in the first six months of 2017. In general, overcrowding is due to the increase in prisoners held for minor crimes, mostly belonging to culturally and socially disadvantaged and marginal groups. Lowering the square meters available to prisoners obviously affects prison living conditions. But it also significantly reduces the scope for activities that could support the recovery path – work, professional training, participation in reintegration initiatives, and psychological support. The social discipline of which Beccaria spoke, to which numerous publications by Michel Foucault have been added, represents the only salvation for the individual and for society. 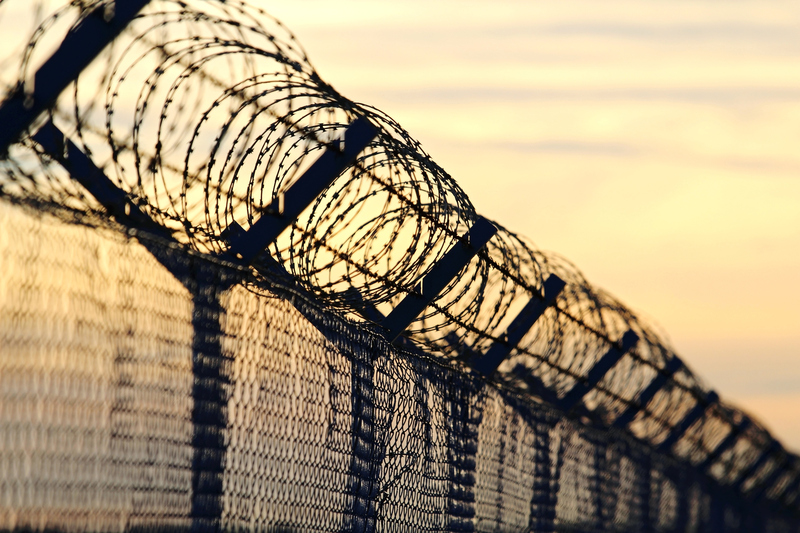 Calling for more prison punishment for more security can be a contradiction. Prisons can become places of further deviance, ideological manipulation, and the exploitation of weakness and psychological fragility, especially if they are overcrowded and lack rehabilitative planning. Labelled as a prisoner, a person may not be able to avoid recurring temptations and may well feel “psychologically lost, for losing”. Indeed, this situation inside the prisons is not only unacceptable in terms of the protection of human rights. It also creates favorable ground for the growth of proselytism of a terrorist nature. Overcrowding can therefore turn prisons into “crime incubators” and foster radicalization. The European Parliament recommends staff training, prison intelligence, inter-religious dialogue and psychological assistance. In particular, the multicultural dimension of prisons requires that the skills of prison officers and staff be increased. As for the prison as an institution, it has the difficult task of preventing a weaker person from becoming radicalized and ensuring that proselytizing does not become a widespread and deeply-rooted procedure. The European Union has prepared a manual on violent radicalization to guide the operators and provide the member states with a common reference and a cognitive tool that helps define the profile of prisoners potentially exposed to the risks of ideological indoctrination and radicalization. The manual identifies specific indicators of radicalization that are suitable for detecting particular situations in the daily work of the personnel in contact with prisoners. They may include physical changes, such as the manner of dressing or growth of the beard, or behavioral changes, such as the intensification of prayer or hostility towards staff. In sum, this is the scenario of the fight against radical Islamic terrorism in Italy. The integrated approach to the problem seems to be the only viable alternative. This approach takes the form of regulatory measures aimed at solving the problem of overcrowding in prisons and the development of operational tools consistent with the organizational and management models proposed at the European level. This must be done in order to achieve the desired balance between the need for security of civil society and the guarantee of human rights and protection of prisoners. Council of Europe, 17th Conference of Directors of Prison Administration (CDAP), Foreign Prisoners, Rome, November 22 – 24, 2012: [https://www.coe.int/en/web/prison/conferences/rome-2012-17conference-directors-prison-probation-services].